Maybe it’s because AN moved our West Coast offices here? Or maybe (more likely) there’s finally a critical mass of talent, clients, and opportunity? 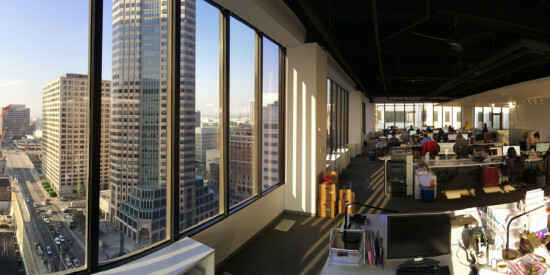 Either way, it seems like Downtown Los Angeles is becoming the place for architecture and engineering firms these days. Recent moves there include Gensler, SOM, SAA, LeanArch, SDA, Freeland Buck, Nous, MADA, and Ahbe Landscape Architects, to name a few. Now these firms are being joined by two engineering giants: Arup and Buro Happold. Arup just opened a 2,500 square foot facility at 811 Wilshire, designed by Zago Architecture. 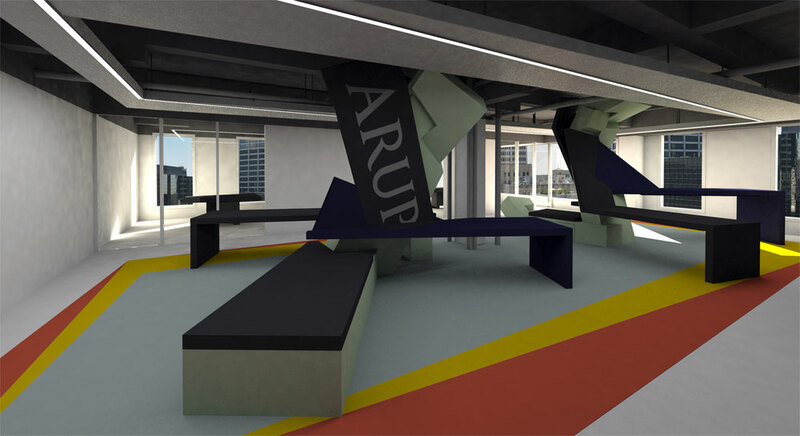 The 25-person space, which will supplement its Culver City offices, will contain flexible work stations that allow workers choose new seating each day, and large open areas for meetings and workshops. 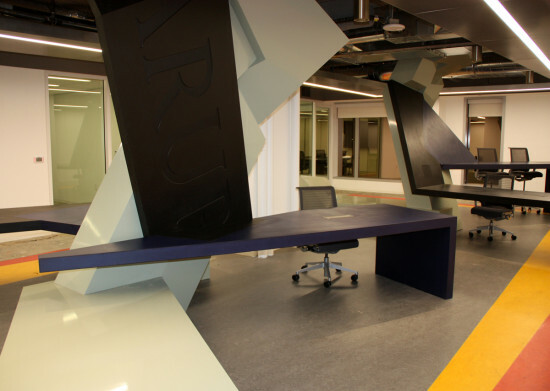 Desks, also by Zago, alternate between sitting and standing heights, and look, as office leader John Phillips put it, “like a crashed airplane.” The facility will allow employees to be closer to important clients like Metro, Gensler, and NBBJ, said Phillips. “We were reaching the limits of our space and spending most of our time on the freeway,” said Phillips, summing up a couple more reasons for the move. Meanwhile Buro Happold moved its entire Los Angeles operations to 800 Wilshire Boulevard on December 30. Their open, 12,500-square-foot LEED Platinum offices includes 40 feet of floor-to-ceiling grow walls, 90 percent natural lighting, and energy-storing phase change materials. Designed in-house, the office will hold 80 Buro Happold employees, and improve connectivity to clients and to Los Angeles in general. All employees have been given year-long TAP metro cards to encourage public transit use. “As downtown has become the epicenter of our Southern California Business we wanted to locate our new space in a central location that encompasses our philosophy—transparent and creative, with a touch of magic,” said managing principal David Herd. Did we mention they have a large balcony overlooking the city? Now these downtown moves are making even more sense.